Education is an investment in your future. But at GIFT, we believe that education should be available to all regardless of their financial status. As a joint public school district dedicated to career and technical education, we partner with families in the Greenlee and Graham areas to provide our students with free, career-specific training that leads to certification and success in the workforce. Although we do not charge tuition for any of these services, some fees may apply. We hope the following information helps you plan accordingly. Please contact us if you have any questions. Thanks to our partnerships with state and local agencies, GIFT is able to pay tuition and books for CTE classes! We can only cover the cost of CTE credit hours. GIFT does not cover general education classes such as math, English, or science. Please pay all tuition and fee charges outside of GIFT's governance directly to Eastern Arizona College. Students who do not maintain a GPA of 2.0 of higher may have to cover the cost of their tuition and books for the upcoming semester. 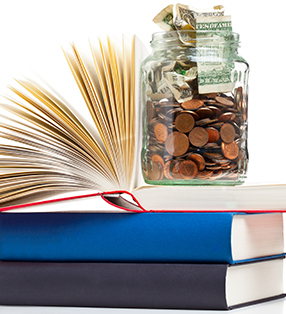 GIFT may reimburse these costs if the student successfully completes his or her classes. Students who withdraw from one of our programs in the middle of the year may be responsible for any “nonrefundable” fees GIFT paid on their behalf. As a district, Gila Institute for Technology purchases CTE class textbooks and workbooks and loans them to our students at no cost. We expect our students to care for these materials and return them to us in gently-used condition so that we may reissue them the following semesters. Students are responsible for any damages or loss. GIFT will purchase any online codes students may need to access subject matter. We collect a $60 deposit from all graduated students who enroll at GIFT and return this deposit upon the safe return of our books. Some of the GIFT classes we offer through our central program at EAC require additional fees. These fees cover the cost of consumable materials and are the student's responsibility. GIFT does not cover fees for items such as cosmetology kits or metalworking materials. Please speak with your career tech or guidance counselor for additional information and a list of possible fees you may be responsible for.